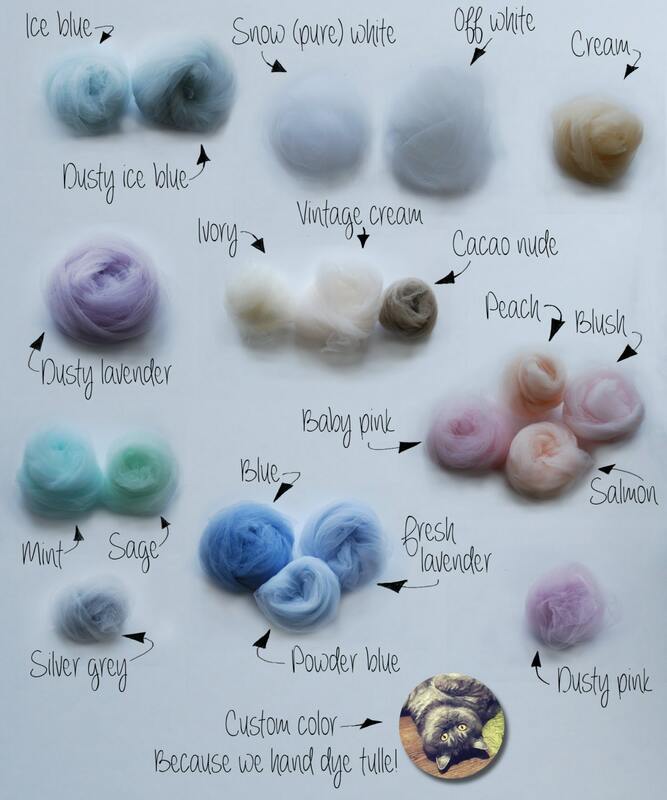 * 4 full circle layers of very soft tulle with a 10" train by default, but can be made without it, or with a longer train by request. * Slightly pleated at the waist. * Satin waistband, 1.4" or 3.5cm waistband by default. * Closure: completely hidden zipper and two pearly buttons. Can be made with hidden buttons as well. * Shown: off white color. Inge was so wonderful to work with and the skirt Heather came in fitting great and looking beautiful!! Such wonderful work! Beautiful skirt. Inge was so helpful when I was trying to chose between her stunning designs. It fits beautifully and the instructions for measuring were easy to follow. I also enjoyed the video of their workshop so you can actually see where you're skirt is coming from. 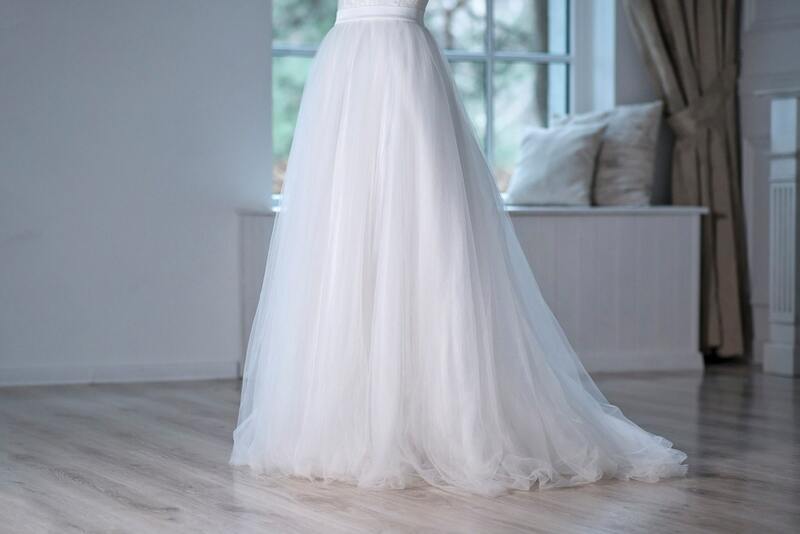 I've now also decided to buy my bridal top from her too as the craftsmanship was such high quality on the skirt. 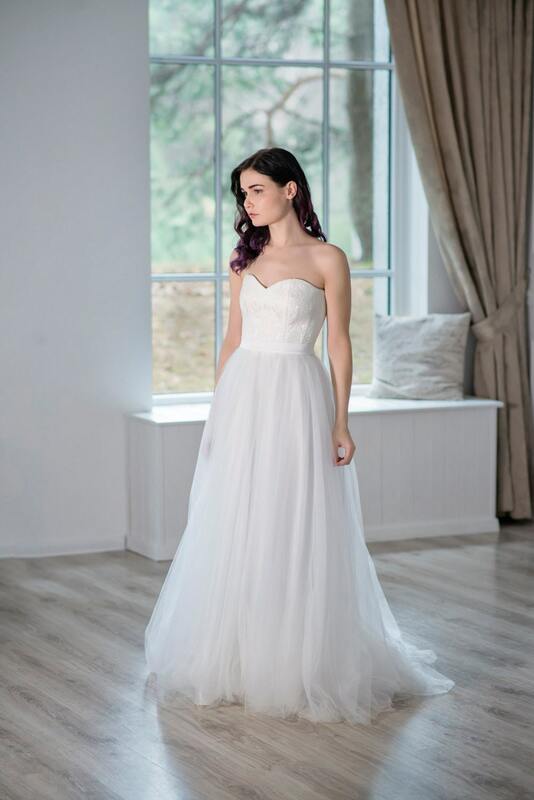 I was hesitant to buy my wedding dress off Etsy and my friends thought I was crazy, but if you're after something a bit different and refreshing from all the same same white dresses in the bridal magazines you've come to the right place. Will update with a photo in spring 2019! Absolutely beautiful and crafted better than I imagined!! 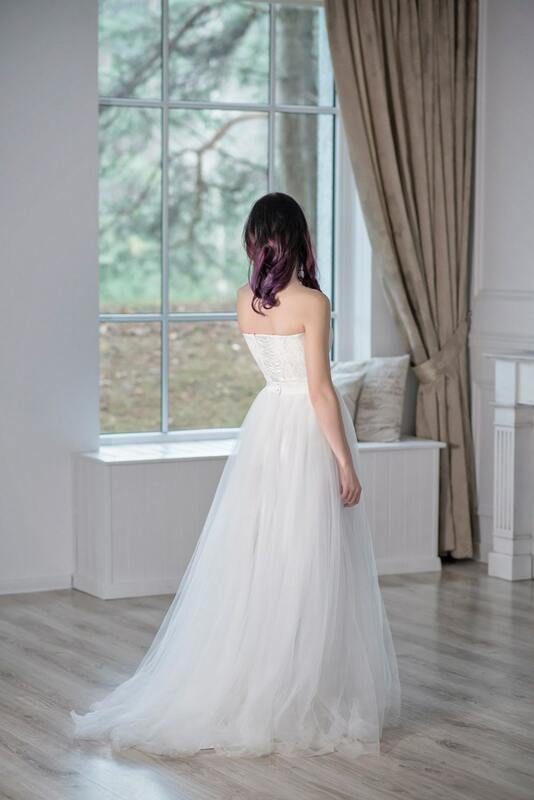 Inge was very responsive and helpful through the whole process and I can't wait to wear it on my wedding!! AMAZING!! Beautiful and great quality. 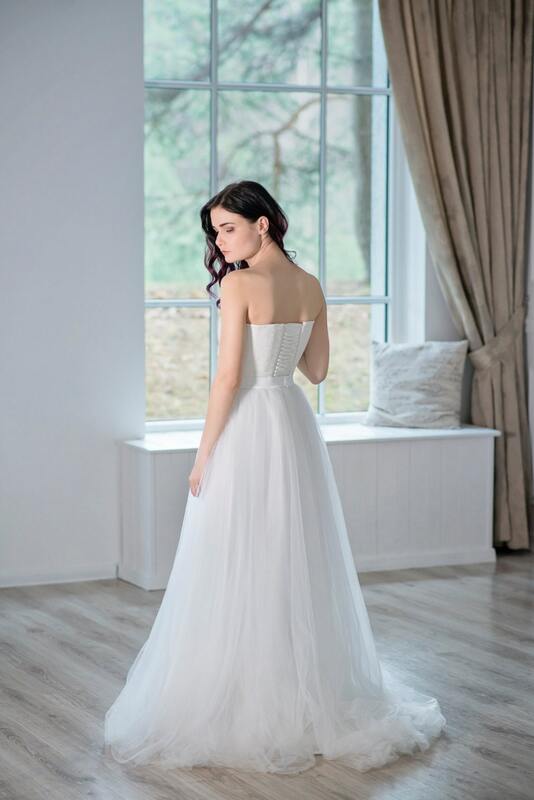 The satin waistband and buttons on the back are so pretty and elegant. Exactly what I wanted. I got so many compliments too! Great communication with the seller prior to sale. Dress arrived on time and it looks great - it is exactly what I wanted. Great quality, totally recommend!